It has been over a year since I've reviewed Debian-based Linux Mint. Since then, some major changes have occurred. The most notable is that Debian-based Linux Mint is no longer a rolling-release distribution but is largely based on the upcoming stable release of Debian (version 8 "Jessie"), though it should continue to get updates for major applications like Mozilla Firefox. Given its shift to a new stable base, I figured it would be time for another review. I checked out the MATE 64-bit edition (due to certain issues with the 32-bit version not being able to detect multiple processor cores) on a live USB made with UnetBootin. Follow the jump to see what it's like. As with the previous review, I am linking to it and only highlighting changes. The boot process and desktop are basically the same as last time, although now the panel features a few desktop shortcuts. Unlike last time, though, it seems that the notification theme is back to the default for MATE, which doesn't look quite as nice; that said, it is easy enough to make it look nicer. In terms of applications, very little has changed. Even M64Py exhibits the same tiny amount of lag in the middle of games (mind you, this amount of lag can easily be overlooked). Perhaps the only things I could see were the updates to the GNOME common utilities (like the GNOME System Monitor and the GNOME Calculator) to make use of integrated window decorations; I'm not exactly sure why Linux Mint uses these applications if MATE equivalents are available (unless I'm mistaken, so please correct me if that is the case). I decided not to install Compiz this time, because I didn't want to risk messing up this system using instructions made for older versions of Debian. Instead, I decided to install Devilspie2. It was easy enough to get it working with some simple scripts, and it is a much more lightweight solution for forcing certain applications to open only on certain workspaces. The initial latency issues from the previous review were completely gone this time around; the desktop was completely smooth in operation. That said, RAM usage has gone up a bit. According to the command "free -m", Linux Mint used about 320 MB of RAM at idle, whereas according to the GNOME System Monitor, RAM usage was around 360 MB at idle. Given that this is a smaller difference compared to my recent review of Sabayon, this could be in part chalked up to the difference between powers of two and powers of ten; that said, this doesn't mathematically account for the full discrepancy, so I wonder what the rest of it could be. 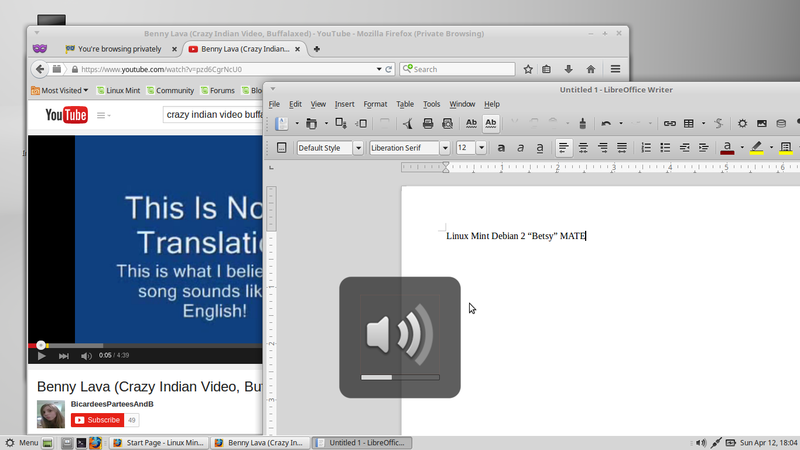 Otherwise, my experience with Linux Mint Debian 2 "Betsy" MATE was pretty much the same as in the previous two reviews. 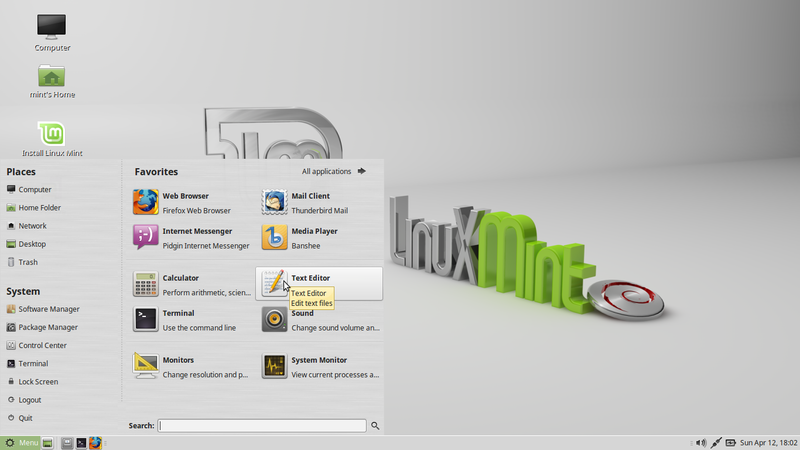 The issue with Compiz is certainly not an issue with Linux Mint per se, so I am willing to forgive that. That means I can once again give this my highest recommendation, even to relative newbies (along with any users with even a little more experience, of course).